(Mableton, GA) Congratulations to Pebblebrook alum and Auburn guard Jared Harper. He has been named to the Lute Olson Award Mid-Season Watch List. He is one of 30 players in the country to be tabbed to the watch list for the annual award. Robert Luther “Lute” Olson is an American retired basketball coach, who has been inducted into both the Basketball Hall of Fame and the College Basketball Hall of Fame. 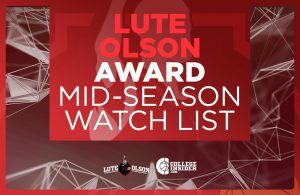 The Lute Olson Award is presented annually to the nation’s top Division I player in college basketball. Incoming freshmen and transfers are not eligible for the award. Harper is one of just three players from the Southeastern Conference on the prestigious list, joining Kentucky’s Reid Travis and Tennessee’s Grant Williams. He has produced plenty of highlights in an Auburn uniform and has averaged 14.5 points, 6.7 assists and 3.1 rebounds per game while leading the top-15 Tigers.